Peter is a dual qualified construction professional and barrister. He has 38 years’ experience in the construction industry and has worked as legal adviser on major projects around the world. According to The Legal 500 UK Peter has acted in several international multimillion-pound disputes, he 'stands out as being a specialist' and is recommended as 'extremely knowledgeable, tactical and reliable'. After 15 years working in the construction industry, Peter was called to the Bar in 1994. Peter has acted in a wide variety of construction, building, civil engineering, mechanical and electrical engineering, water and sewage engineering, power, clean room and IT disputes, as well as in professional negligence matters involving architects, building surveyors, quantity surveyors, civil engineers, M&E engineers and project managers. Peter has significant experience of FIDIC, JCT, ICE, NEC, IChemE, IMechE and EPC contracts both in the UK and internationally as well as PFI and PPP experience both in the UK and internationally. Peter negotiated one of the first PFI Hospital projects in the 1990’s and since then has been involved in a number of disputes over PFI and PPP arrangements both in the UK and Internationally. Peter has particular expertise in dispute resolution, acting mainly as an independent neutral (Arbitrator, Adjudicator, Dispute Board and Mediator) and as a party adviser. Peter has had over 250 appointments as an independent third party dispute resolver. Peter spends an increasing period of time assisting parties avoid disputes by combining his legal, neutral and practical skills to understand and then avoid risk. Peter is a visiting lecturer on the MSc in Construction Law at the University of Wolverhampton and the LLM at Nottingham Law School. He lecturers, examines and assesses candidates for the Chartered Institute of Arbitrators and the RICS. He lectures regularly for the CIOB, RICS, CIArb and various clients. He is the author of the CIArb’s book “Introduction to Adjudication”. He is a member of the Chartered Institute of Building’s Dispute Resolution Board. He was part of the working party revising the RICS Practice Note on Surveyor’s Acting as Expert Witnesses. He Chaired a Webinair on Procurement Law and co-presented a Webinair on the NEC3 suit of contracts. He lectures around the world on construction administration and construction law issues. He was awarded the Chartered Institute of Building’s Silver Medal for the Contract Administration Paper of the Membership Examination in 1988. Peter has been appointed by third parties and nominating bodies such as the ICC and RICS on numerous occasions to act as “expert” to determine disputes. Peter provides strategic, detailed and tactical advice to clients, be they employers, contractors, subcontractors or banks, in relation to their rights and obligations under and relating to construction contracts around the world and in the UK. He provides written advocacy and appears as an advocate for his clients in courts and tribunals around the world. He has appeared as advocate in the TCC and the Court of Appeal as well as in arbitrations in the UK and internationally. Peter is licenced to conduct litigation by the Bar Standards Board and provides a full legal service for his clients. Advising on a contract for the construction of an international airport. Peter is on the FIDIC President’s Panel of Dispute Board Members. This list is currently limited to 69 people worldwide. He is a member of the Dispute Resolution Board Foundation. Peter is an international adjudicator on Dispute Adjudication Boards, Dispute Resolution Boards and Dispute Avoidance Boards. He has lectured on the benefits of Dispute Boards in the UK, India, Italy, Mauritius and Dubai. He has been appointed to dispute boards by FIDIC, RICS and the ICC. Peter enjoys acting on standing dispute boards where he can use his construction and legal skills to work with the parties to avoid disputes. Peter is a member of the TfL CAP (Conflict Avoidance Panel) and has been appointed several times to make recommendations to the Parties. Peter is an adjudicator under the Housing Grants, Construction and Regeneration Act 1996 and internationally under ICC, FIDIC and DRBF procedures. Peter is a Chartered Arbitrator and has conducted arbitrations in the UK and internationally, including in Dubai. He has been appointed as arbitrator under the Water Industry Act, DIAC, and CIArb, as well as undertaking party appointments. 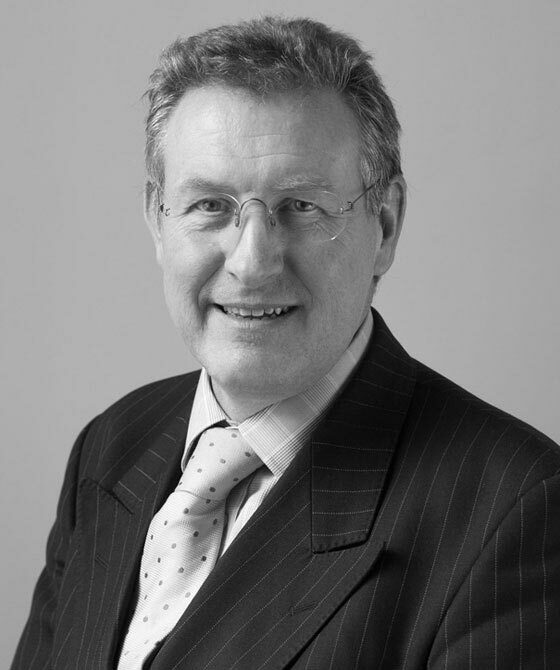 Peter qualified as a mediator on the CEDR training programme in 1999 and has acted regularly as a mediator having dealt with a range of matters including construction disputes, IT, copyright, internet and professional negligence. Mediation: RICS, CIArb, Bar Council, TECBAR.